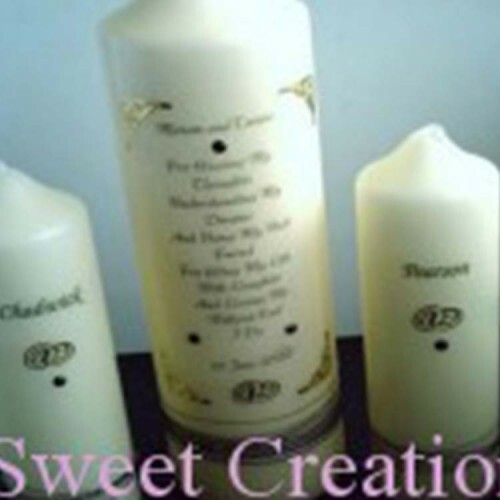 These hand finished wedding candles, are a set of 3 candles, one large candle in the centre, contains the couple first names, wedding date, complimentary colours for the wedding, and can have children's names added to the back of the candle. The side candles are approx. 6" x 2" and have the couples surnames printed n them. Personalised Christening Baptism Candle. We can add a picture of the baby, the name and date of th..
Cake Topper Couple on a resin Bicycle. €24.00 each..